Jessica Cochrane is a Visual Artist from Canberra currently based and practicing in Sydney, Australia. Her work is a reflection upon the relationship between society and the consumption of Pop Culture. Through painterly application over photographic images she shows a clear focus on contradictory aspects surrounding beauty and feminine standards. Often working in large scale murals , the power within Cochrane's work is undeniable. Sha’an d’Anthes is an illustrator and exhibiting artist from Sydney, Australia. Georgia Hill is an illustrator and artist, specialising in bold monochromatic hand drawn type and texture based artwork. Georgia works across all mediums and applications from the largest walls to branding and print graphics. She specialises in creating her beautifully dark and detailed work in the most unexpected forms and under challenging circumstances. Hailing from Sydney, Australia, Thomas Jackson's detailed works range from large scale murals to painstakingly created smaller scale works for exhibitions & galleries. Drawing inspiration from comics legends like Daniel Clowes and Charles Burns, Stellar creates bold monocromatic scenes that depict a nocturnal worlds of 'romantic satanism', a world where witches, demons and teenage girls co-exist. Her works feature a heavy emphasis on storytelling, often featuring small filmic scenes that lack context, forcing the viewer to place the scene in a larger narrative that will often be more revealing of the viewer than the artist herself. Scott Marsh is an Artist based out of Sydney, Australia. Spending his formative years exploring and painting throughout Sydney’s rail network, the language of graffiti is deeply personal to Scott and the foundation of his style and practice. He is known for using a mixture of enamels, acrylics and aerosol to explore the growing cross over between graffiti and traditional art. 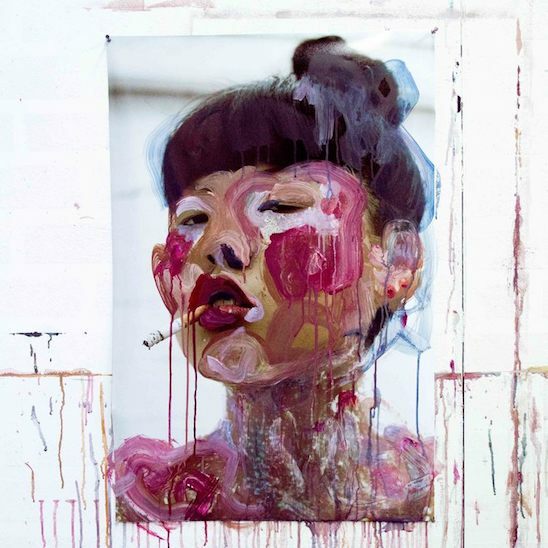 Exploring themes of popular culture and the cult of the celebrity, Scott’s work incorporates traditional methods and elements found in impressionist paintings and executing them with the scale and techniques associated with graffiti. Her work often explores feminism and empowerment, working across a diverse range of mediums from digital to textiles, live art and print. Alongside her commercial work, Martina is an accomplished exhibiting artist and curator, showing in Sydney, Melbourne, Europe, and beyond. Chris Yee is a Sydney based artist/illustrator who specialises in traditional “pen and paper” methodologies. Chris draws his main influences from 90’s post-apocalyptic manga, rap and punk aesthetics, along with the style of comic book royalty such as Todd Macfarlane and Jack Kirby. Chris uses this imagery to construct narrative ranging from the humorous to the monstrous and macabre.